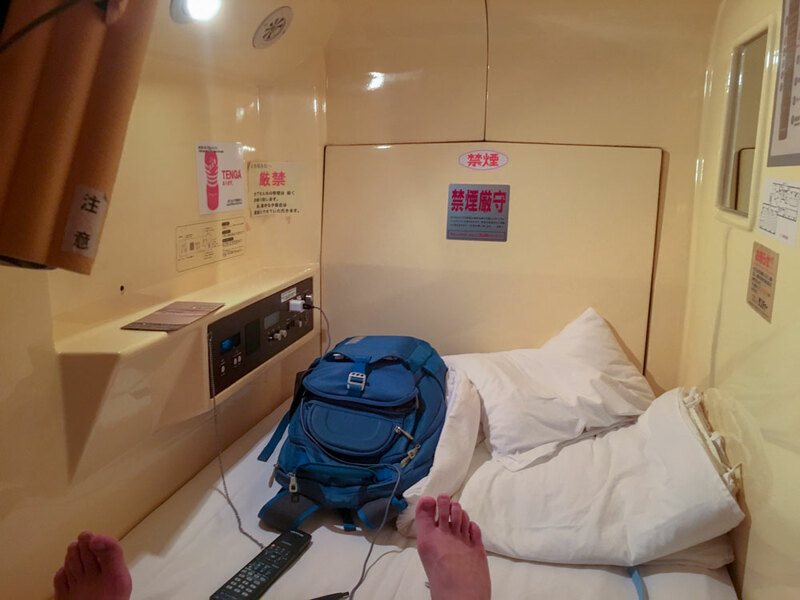 One thing I got excited about Tokyo trip was the first time staying in a capsule hotel. The vibe couldn’t get more local than that. It was truly a worthwhile experience. Apart from a very good deal from a booking website, the hotel—Sauna & Capsule Hotel Dandy—seemed to check all the boxes I was looking for. It was just a walking distance from Ueno Station and easy to locate even though there was no hotel signage on the street. Above all, as the name stated, it’s got an onsen. It wasn’t just my first time staying in a capsule hotel but also the first time in the country. Surely, I was expecting some orientations with some new norms. But I didn’t expect it would be even before checking in. First of all, before anything else, shoes off. Taking off shoes in the house wasn’t an etiquette I wasn’t accustomed to. But that custom in hotel was the next level. Basically, there was a small step up to the lobby. You were not allowed to have shoes on beyond that point. After taking off the shoes, you bring them to a shoe locker, keep them there, and take the key to the reception to check-in. At checking-in, they kept the shoe locker key and gave you a set of towels, a robe, a pair of boxer shorts, and your locker key that matched your sleeping pod. My previous concern was the luggage. Actually, they could store them during the stay. But you had to organise your stuff, taking things in and out, i.e. clean cloths. The sleeping pod was not too bad at all. It was equipped with a power outlet and a TV. There was a blind covering the pod for privacy. Usually, you didn’t hear anyone from others except some snoring. And I could be able to sleep every night. One minor hassle was that you had to be out by 10 am for cleaning. Luckily, with the time difference, I got up around 4 am and couldn’t get back to sleep anyway. And you’d have to clear the bill when you ate, drank, or got a massage each day. But they left your locker alone so that you could keep something there. When you were back at the hotel, you’d get the same sleeping pod. Did I mention an onsen in the hotel? Dipping in a hot bath was the best thing you could treat yourself after the long flight from Washington DC. I was aware of their etiquettes and could be able to relax. To be honest, I didn’t find it awkward being naked amongst other men. 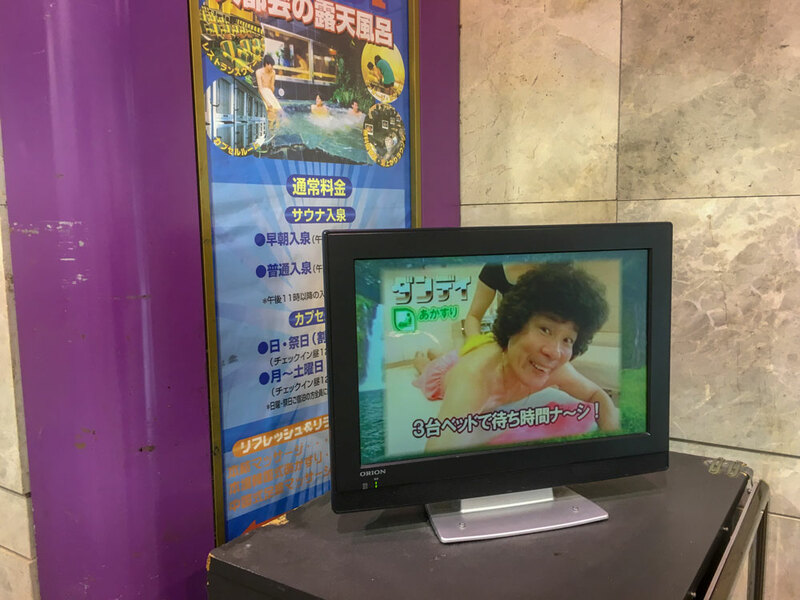 No, it wasn’t my first time in a public bathhouse. But it was the first in a straight one without sexual intention. That was such a difference. Somehow, it was a humble expression of acceptance and tolerance. Speaking of acceptance, there were a no-tattoo sign in Japanese. Tattoos have been associated with underworld gang in Japan. That unnerved me to expose my inked body the bath. However, there was not any sign of disgust from any patrons or staff. Not even a cringe (that I could notice). Everyone seemed to mind their own businesses. Staying in shared facilities let me observe some social behaviours without having to interact with them. I found that was a great experience.